“Warning…. 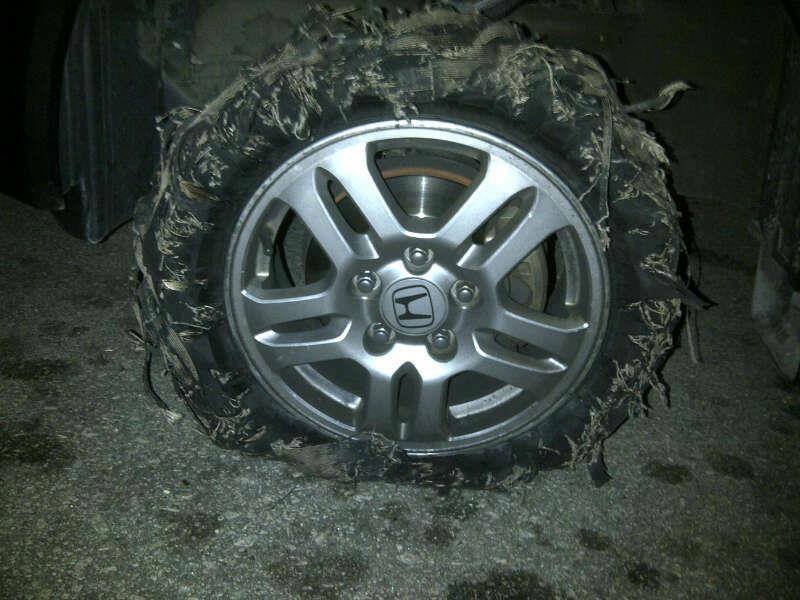 careful when driving on LDP ( especially at night ) By Sandra Heung Warning! Spikes are being laid out on the LDP stretch near KDU College (before the tunnel) so when ur tires burst, robbers will come & attack! Boyfriend’s brother’s friend got away last night because he managed to swerve a little so only 1 tired was damaged. But when the tire burst, a bunch of guys came running towards him out of no where! Please share this with as many people you know, especially those of us who take the road often or live within the DJ or SS2 area. 2) Plan your travel time well, and ahead if you can. It will lessen the need to rush or speed unnecessarily. It will also help you to avoid the need to travel middle of the night, in the dark where we are more vulnerable to attacks of this nature. But bear in mind nowadays attacks and robbery happens both at night and broad day light. 3) Inform your loved ones your whereabouts or travel plans. 4) Pay attention on the road. LEAVE that mobile phone alone. If you can hands-free, Bluetooth your phone to your car, do so. If you are blasting that speaker loud, make sure you have enough ‘sense’ to keep your eyes on the road. It will make a difference ! Keep your temptation for social networking later. It’s not worth your precious life and the lives of your loved ones. Previous Malaysian Flood Relief Fund (MERCY Malaysia) – Aid for flood victims. Your help is needed !